Pauley Perrette at a ceremony for Mark Harmon to receive a star on the Hollywood Walk of Fame. Pauley Perrette is an actress who gained fame playing the character Abby Sciuto on the television series NCIS. She made her film debut in the 1994 film Magical Make-Over where she played a character named Shannon. She went on to appear in several television commercials before finding success in Hollywood. She married actor and musician Coyote Shivers in 2000. The couple separated in 2004 and finally got divorced in 2006. In addition to being an actress, she is also a musician. She was the lead singer of an all-female band called Lo Ball and has released music under the name "Stop Making Friends". Journalist Greg Hernandez (Greg In Hollywood) with NCIS star Pauley Perrette. Pauley Perrette is a famous American actress, photographer, poet, writer, who was born on March 27, 1969. 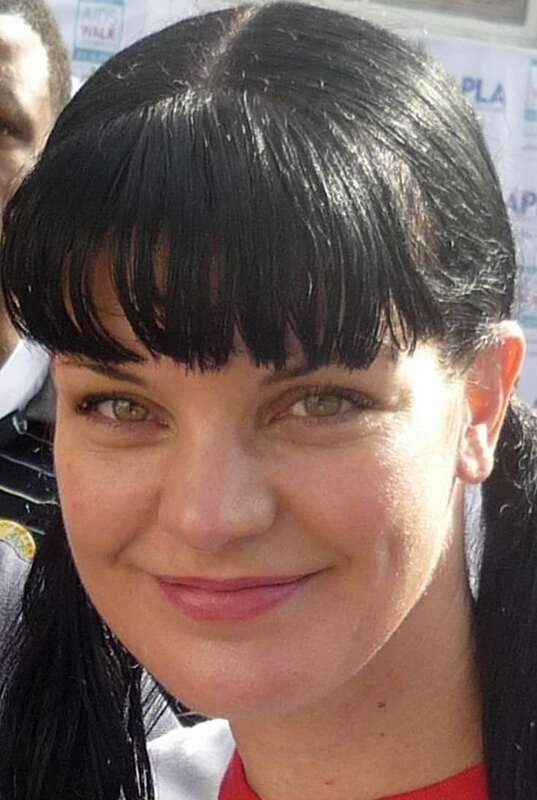 As a person born on this date, Pauley Perrette is listed in our database as the 4th most popular celebrity for the day (March 27) and the 23rd most popular for the year (1969). People born on March 27 fall under the Zodiac sign of Aries, the Ram. Pauley Perrette is the 84th most popular Aries. Aside from information specific to Pauley Perrette's birthday, Pauley Perrette is the 497th most famous American and ranks 63rd in famous people born in New Orleans, Louisiana, U.S. In general, Pauley Perrette ranks as the 839th most popular famous person, and the 170th most popular actress of all time. “The Famous Birthdays” catalogs over 25,000 famous people, everyone from actors to singers to scientists to serial killers and more. If you're curious to see who was born on your birthday, you can use our database to find out who, what, where, when and why. You can search by birthday, birthplace, claim to fame or any other information by typing in the search box, or simply browse our site by selecting the month, the day, the horoscope, or any other clickable option. 63rd born in New Orleans, Louisiana, U.S.